A Pakistani Christian man and his family were forced to flee from their home to escape the wrath of an enraged Muslim mob after he was accused of blasphemy during an altercation over water with a group of Muslim men. 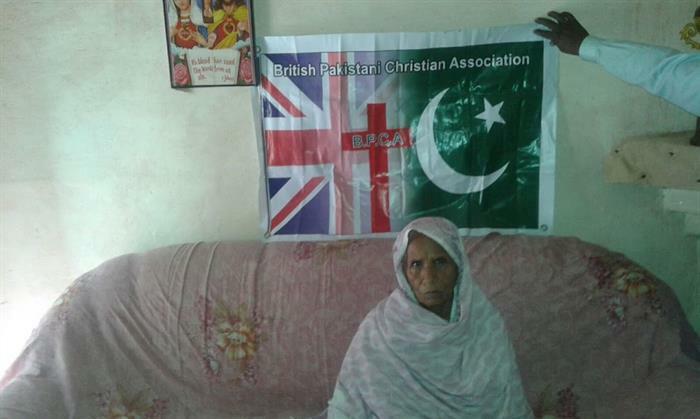 According to the British Pakistani Christian Association, the accused Christian man, 40-year-old Aftab Gill and his family from the Wazirabad area of Punjab province, regularly collected their home's water supply from the local mosque's tap — just like many others in the community. As the mosque's water tap is the only real clean supply available to the community, Gill, who cares for his five children, was drawing water on Aug. 14 when he was told by a Muslim man that Christians were not allowed to draw from the tap unless they accepted Islam. "You Christians are not allowed to take water from the mosque," the man shouted to Gill. "If you want to drink our water, you must embrace Islam and pray regularly inside the mosque. Otherwise evil infidels defile our water taps." Earlier that day, two of Gill sons, 12-year-old Akash and 5-year-old Adnan, were approached by an 18-year-old Muslim named Zain Shah, and he told them to convert to Islam. However, the kids refused to renounce their love for Jesus. BPCA reports that a couple days later, Shah and other Muslim men approached Gill's sons and demanded they convert to Islam. When Akash refused, Shah slapped him. Seeing his son being physically assaulted, Gill intervened and said: "You failed to convert Baba Guru Nanak [Founder of Sikh faith] so why pursue converting my children who follow the true and living God?" Shah and his accomplices then began to beat Gill and his sons until the local police intervened to stop the altercation. Subsequently, Shah and his brother gathered a mob of over 200 men. Later that day, the mob went to the Gill home and tried to kill the family. Again, police intervened to protect the Christian family. According to BPCA, elder members of the Christian community met with the local Muslim cleric who explained that he would do his best to prevent the religious tension in the town from escalating any further. However, he warned that it would be in the Gill family's best interest if Gill were to leave the town. Respecting the cleric's advice, Gill and his family fled the town, leaving his mother, Bashiran Bibi, behind to live in the family's home alone. "Life for Christians in Pakistan is now worse than ever. We are attacked daily and treated worse than rats. Muslims do not want us as their neighbours because they believe we are evil and have satanic diseases," Bibi told BPCA. "My son and his family came close to death and we were all terrified when the mob came to our house. I prayed to God for His protection and by His grace we have survived, but now my children are far away from me and I am very lonely. My tears are constant." Although religious tensions in the community have settled a bit since Gill fled the town, BPCA Chairman Wilson Chowdhry writes that tensions could erupt at any time, since the only clean drinking supply in the town is still the mosque's tap. BPCA has begun an appeal for donations to help build another clean water tap in the town, which costs the equivalent of $853 to install. Chowdhry explained that the organization hopes to install the tap in the local church so that it can "become a beacon of hope for our suffering minority." BPCA officer Shamim Masih explained in the statement shared with The Christian Post that finding clean drinking water is a problem for many other Christian communities in Pakistan, not just the Railway Colony of Wazirabad. "Living near any mosque for a Christian family in a Muslim dominated country like Pakistan could be dangerous at any time. I had a very similar experience when I was living in Rawalpindi and we had a rented house near a mosque," Masih stated. "Normally during hot summers, water levels dropped and we faced a shortage of water. 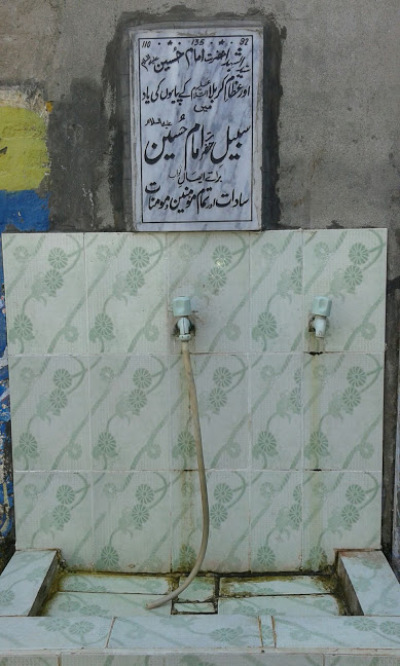 People used to collect water from the nearby mosque, paying them a small fee. I was forced to do the same and we happily paid our contribution until one day, the cleric came to know that we are from the Christian faith. Immediately, the local cleric stopped us from taking water from the mosque, which caused us great difficulty." As the Gill family was forced to leave their home behind and search for a new village, BPCA has also started an appeal to help pay for the Gill family's first six months rent and first six months of food. "We hope that through the generosity of our donors we can illustrate the love of God to this hurting family," Chowdhry wrote.